This is an in-store freebie! 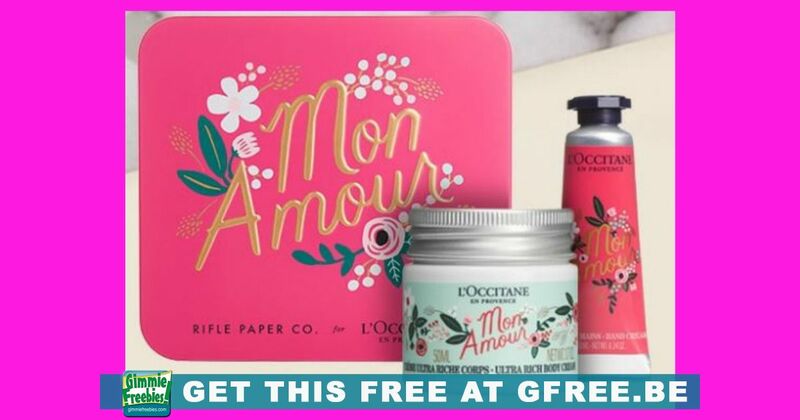 Get a free L’Occitane Mon Amour Beauty Gift Box using the promo code – KISS. You can show the page or mention the promo code while you are at the L’Occitane Store. No purchase is needed when claimed in-store. This offer expires 2/14/19 or while supplies last. This is also available online but you must make a purchase. Free Gift Offer valid only until February 14, 2019, or while supplies last. Free Gift Offer is only valid in the US. May be redeemed at L’OCCITANE Boutiques with no purchase required or Online with any purchase. May not be redeemed in wholesale partners, such as department stores or at our outlet boutiques. L’OCCITANE reserves the right to substitute another gift of comparable value. Offer can be used only once. Cannot be combined with any other offer, coupon or discount. To redeem, use the code presented above at checkout. To redeem, use KISS at checkout.